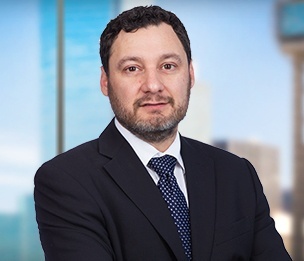 Virgil Ochoa is an attorney in Dykema's Business Services Group and Dental Service Organizations Group where he focuses his practice on dental service organizations, corporate finance matters and international trade law. Mr. Ochoa regularly advises clients on a wide array of corporate matters, including creating regulatory compliant business models, assisting investors in buying, selling or investing in Dental Service Organizations, assisting dentists in selling their practices, and assisting Dental Service Organizations in affiliating with dental practices. His export control practice includes helping companies interpret the U.S. Export Administration Regulations (EAR), the International Traffic in Arms Regulations (ITAR), the Federal Trade Regulations (FTR) and the Foreign Corrupt Practices Act (FCPA). Virgil also represents clients in import-related matters before U.S. Customs and Border Protection authorities. Can't We All Just Trade Along? Shale We Dance (in Russia)?